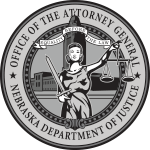 Nebraska law requires individuals and commercial entities to provide notice of a security breach to the Attorney General’s Office under certain circumstances pursuant to the Financial Data Protection and Consumer Notification of Data Security Breach Act of 2006. Notice can be submitted through the electronic form below. Alternatively, if you would like to submit a data breach notification form by mail, you can print a pdf version of the form here. Once you have completed the form, please mail it to the address listed below.